Thomas S. Weisner, PhD is Professor of Anthropology in the Departments of Psychiatry and Biobehavioral Sciences (NPI Semel Institute, Center for Culture and Health) and Anthropology at UCLA. His research and teaching interests are in culture and human development; medical, psychological and cultural studies of families and children at risk; mixed methods; and evidence-informed policy. He is Director of the Center for Culture & Health, and the Fieldwork and Qualitative Data Laboratory in the Mental Retardation Research Center. Weisner has ongoing collaborations across the Semel Institute with the Center for Community Health, with Naihua Duan (in the Center for Health Services), and the MRRC (Fieldwork lab core facility). Weisner is on the executive committee of the Culture, Brain, and Development program (CBD) housed in Anthropology, and has served on the research, education, and training committees of the CBD. He also has coordinated the core seminar of the CBD, and participated in conferences sponsored by the Foundation for Psychocultural Research. He participates in Anthropology Department activities as a joint appointment, including seminars and training activities there. Senior Research Analyst, Westat, Inc.
Tamara Cohen Daley, PhD, is a Senior Study Director at Westat. She has both lived and worked in India on and off throughout her life. Over the past 15 years, Dr. Daley has designed and conducted more than half a dozen research and evaluation studies on disability in India. These projects include the first national study of parents of children with autism in India; a national survey of diagnostic practices and beliefs among paediatricians, psychiatrists, and psychologists; a comparison of paediatrician practices and beliefs about autism over a 10-year period; a comprehensive review of published literature on autism; and the effect of the popular media on awareness of autism amongst the general public. 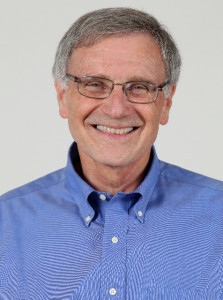 In addition to research in India, Dr. Daley has led or contributed to the design, implementation, and analysis of multiple research projects involving children, adolescents, and families in the U.S. and elsewhere. These projects include work in rural Kenya, such as identifying changes in child cognitive scores over time and the role of classroom quality; research on mental health problems in second generation Cambodian refugees and intergenerational transmission of trauma; longitudinal studies of children with developmental delay; and evaluation of the implementation of the U.S. federal special education law using large-scale national datasets. Dr. Daley currently is engaged in separate evaluations of human trafficking projects located in India, Qatar and Cameroon. Dr. Daley received a BA in psychology from Grinnell College, a Fulbright Scholarship to undertake research in India, and an MA and PhD in clinical psychology from the University of California, Los Angeles. She completed postdoctoral work at the University of North Carolina, Chapel Hill.